Here at Ruislip Signs and Graphics, we are proud to offer shop signs in Rickmansworth. 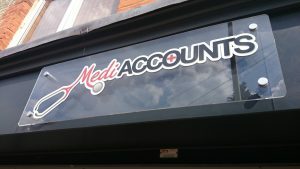 Our quality of shop signs is second to none, no matter the size of the sign, we’ll always achieve top results. Having spent many years within the signage industry, Ruislip Signs and Graphics in Rickmansworth want to make sure that all our clients receive the best value for money. From shop front signage to hanging signage, the team at Ruislip Signs and Graphics are here to help. Take your business to the next level, stand out from the crowd and take advantage of our shop signage service in Rickmansworth today to build your business to its true potential. If your shop sign in Rickmansworth is outdated, or perhaps doesn’t represent your business well, come to Ruislip Signs and Graphics. Our team will be able to create a new shop sign that perfectly reflects on both your brand and services. From designs with plenty of detail to signs that are straight to the point, Ruislip Signs and Graphics can create a shop sign to suit you. We are happy to help all businesses in Rickmansworth looking for a new shop sign, so please don’t hesitate to get in touch to find out how we can help. The importance of shop signs for business is extraordinary. Without a shop sign, you could miss out on several customers. Whether this be due to them not knowing how to find you, or not noticing you. 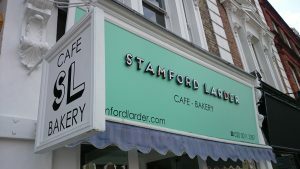 As sign makers in Rickmansworth, we find shop signs to be a necessity to help your business to grow and develop. With many years’ experience in installing shop signs in Rickmansworth, Ruislip Signs and Graphics are here to ensure that your needs are completely catered for. This will give you maximum satisfaction in knowing that our signage services will cater to your every need. Your shop sign could be the first piece of interaction your customer will have with your business. So, you need to make it count. They’ll be judging your business to see if you’re right for them. If your shop sign looks outdated or low quality, it can put them off. Not only from spending, but to even make the effort to visit your shop. 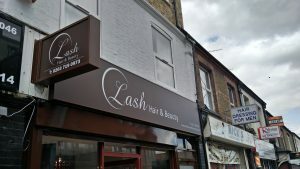 Make no exception for your customers to go elsewhere and contact Ruislip Signs and Graphics for your shop sign in Rickmansworth. We will work closely with you and your needs to ensure that your shop sign represents your business in the right manner. For more information on our shop signs in Rickmansworth, please feel free to contact us today. We will be able to help with any inquires, quotes or questions. This will give you full advantage of our shop signage service in Rickmansworth. So, waste no time in getting in touch today by calling us on 07717 337 658 or email: pjsgraphics@yahoo.co.uk. We will be more than happy to help in any way possible.